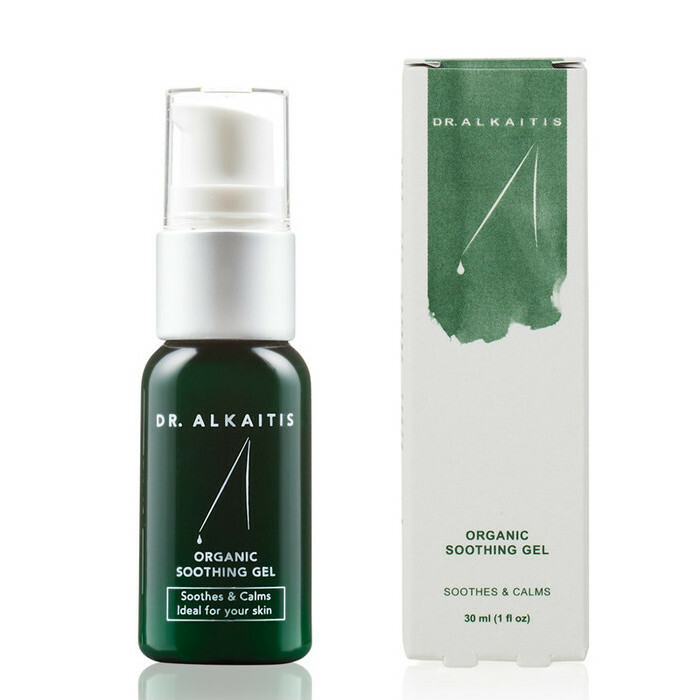 The Dr Alkaitis Organic Soothing Gel works to soothe and hydrate sensitive and irritated skin, leaving it feeling soft, supple and refreshed. The comforting formula is also suitable for those with oily skin, providing moisture while keeping the complexion smooth and free from shine. Hand made in California using Certified Organic, raw and plant based ingredients, this gel can be used after waxing, electrolysis or any hair removal procedure. 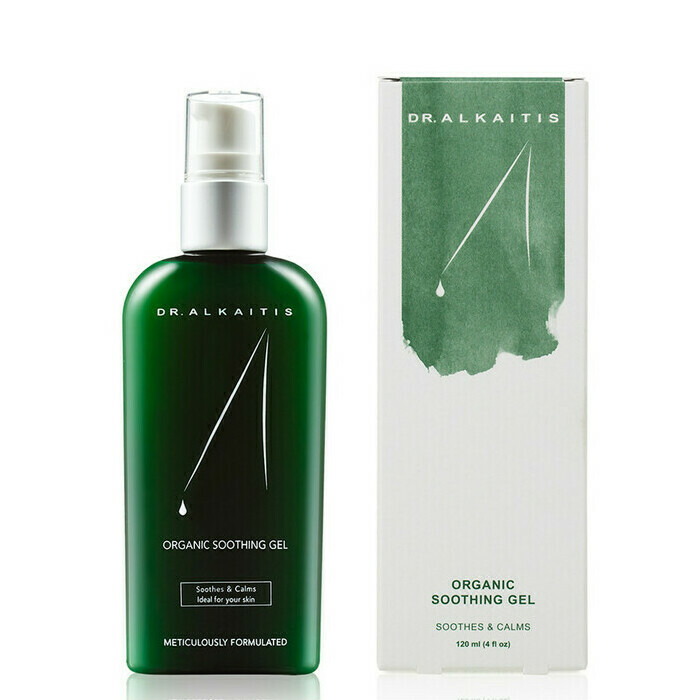 Aloe Vera, Chamomile, Nettle, Vitamin B, Vitamin C.
Into the base of Organic Aloe Vera Gel* and Witch Hazelº the following organic and wild-crafted herbals are blended: organically grown grape alcohol* (from the fermentation of organically grown grains). Greater Nettle*, Wild Chamomileº, Myrrhº, European Elder*, Sweet Weed*, and French Lavender*. 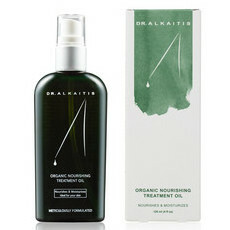 Curacao Orange*, Benzoinº, Rosemary*, Olibanumº, Wild Fennelº, Balm Mint*, Sea Oakº, Atlantic Kelpº and Red Seaweedº. Also added are natural vitamin B and vitamin C complexes and 100% pure essential oils. – Signifies certified organically grown. Apply a few drops to skin with fingertips. 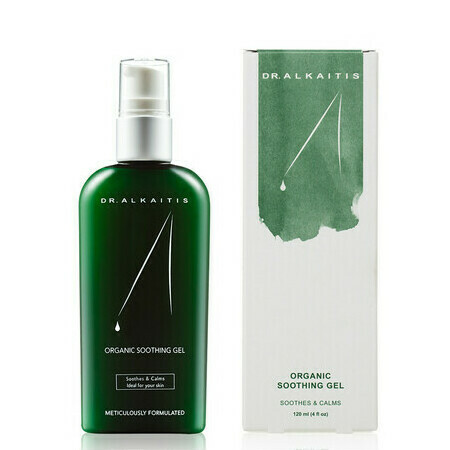 Gel will spread easily and skin will absorb its moisturising, anti-bacterial properties quickly leaving it soft and supple, never greasy or shiny. Love this gel - i use it in the morning and i use the Toner at night. I tend to be prone to break outs and after using this range i haven't broken out and it has been a month overall. Can justify the price bracket and recommend.